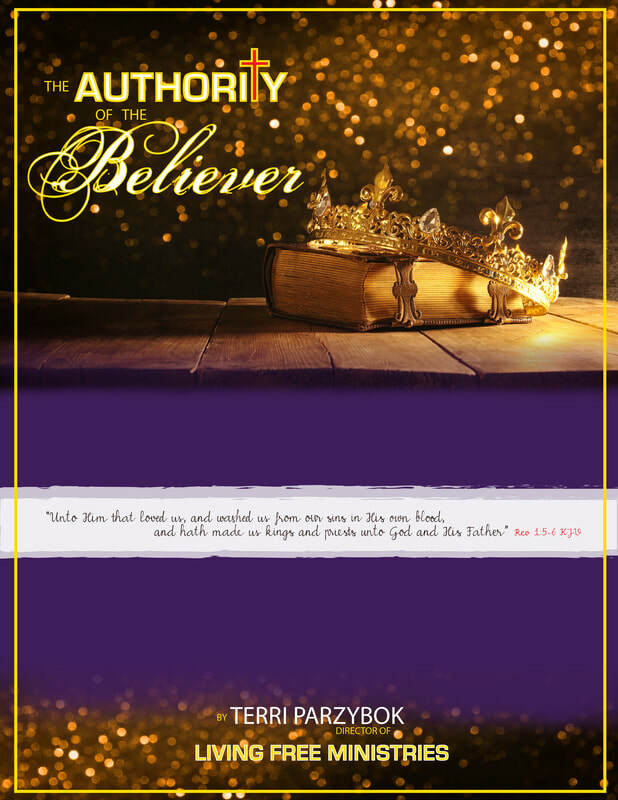 This new series is written and presented by Terri Parzybok, Founder of Living Free Ministries. EXCHANGING ASHES FOR BEAUTY, ALLOWING OUR HEARTS TO ENCOUNTER JESUS AND HIS ABUNDANT LIFE. ​A 10 week class written by Terri Parzybok and taught by Terri and the LFM team. This class runs once a year and is required along with the healing class to be an LFM team member. Come learn about the authority that has been delegated to ALL believers by Jesus Christ here on earth! Come learn the true nature of God - a good God, who is not angry, who has NOT brought evil, sickness, and tragedy into your life but is a God and Father who loves His children. Come learn how you are living under the New Covenant of Love, not under the Old Covenant of Laws. Come learn your true identity in Christ and learn who you really are as a child of God. Come learn that what God did through His Son... destroying ALL the works of the enemy so that you could live in victory, abundance, and peace. Come learn what the true biblical meaning of salvation is... "all inclusive." Come learn the importance of what the Bible says about spirit, soul and body. THE HEALING CLASS 1 - "LOVE HEALS"
A 10 week class written by Terri Parzybok and taught by Terri and the LFM team. This class runs once a year in the fall. If you are interested in learning what scripture says about the healing Word of God, this class is for you. If you are in need of healing, this class is for you... physical, emotional, or spiritual. LFM's model of ministry is to be a "Word-Based" teaching ministry, that incorporates prayer and healing. We understand that the written Word and the Living Word are one and the same, and once we are able to believe and receive what God says about who we are, who He is, and what He has already done for us, receiving our healing comes easily. 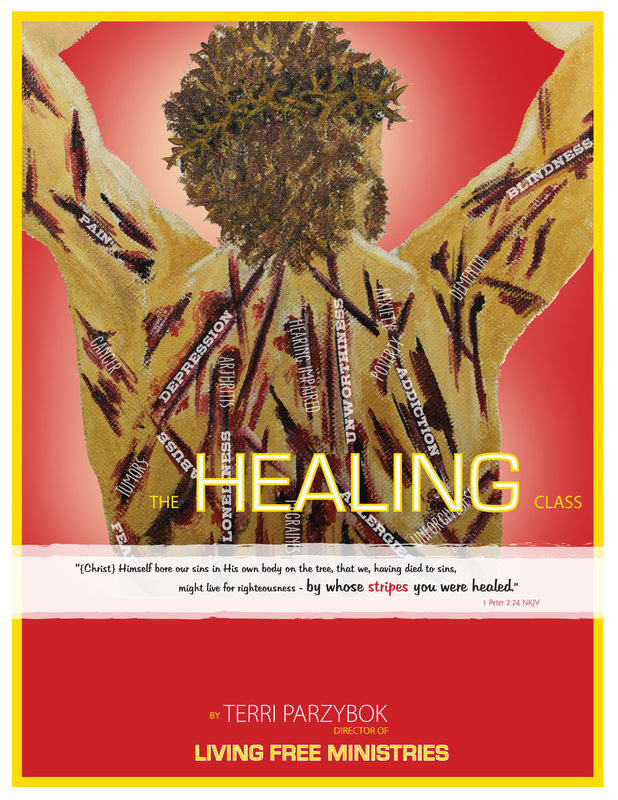 So we invite you to come learn who Jesus the healer is and receive your healing. COST Individuals: $60 includes 10 weeks of class & training manual. 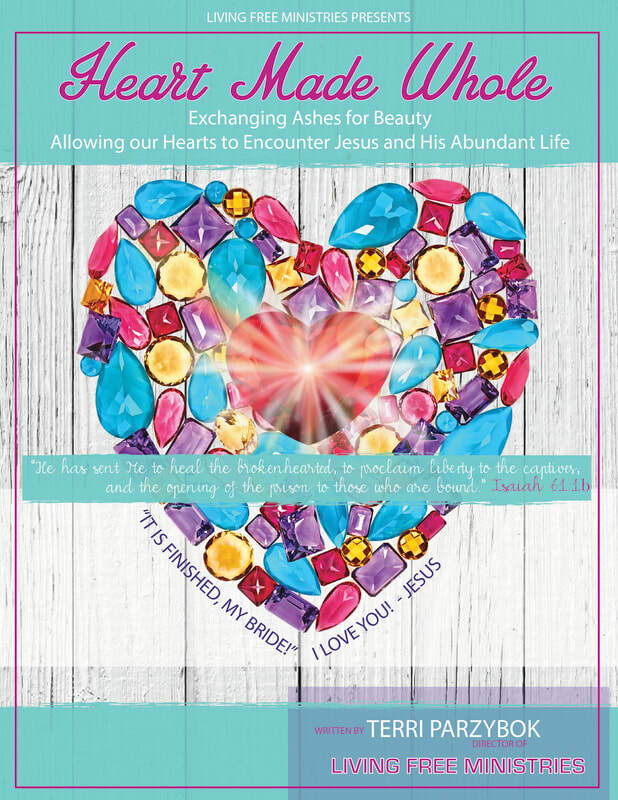 + $10 for book "Christ the Healer"
PAY YOUR $40 CLASS DONATION ONLINE! HEALING CLASS 2 - "WALKING IN THE MIRACULOUS: Healings, Signs & Wonders"
Living Free Ministries presents this 5 week class aimed at growing in walking and moving in the power of Jesus in us and through us. This class is titled “Walking in the Miraculous” and is geared for those of us who know who we are in Christ and who He is in us and what His power can do through us to touch the lives all around us. In the book of Acts, we read about the apostles laying hands on people and healing them, prophesying over others and performing miracles, signs and wonders through the name and power of Jesus Christ. These very same miracles are happening through believers today and this class teaches us how we can walk in increased awareness of God’s presence and His power through us to heal the sick and perform miracles in Jesus’ name to glorify God. The gospel was not only meant to be preached, but also meant to be demonstrated through the faithful hearts and hands of God’s beloved sons and daughters! This class will equip you with the biblical knowledge of walking in the miraculous, empowerment to take risks, and encouragement to go out into your communities and spheres of influence and pray over others while watching God heal them and touch their lives. We as an LFM family are very excited for this class to learn and grow in the depth of knowledge that we can truly walk in the miraculous and see God perform amazing works through us to glorify His name! PLEASE NOTE "WALKING IN THE MIRACULOUS"